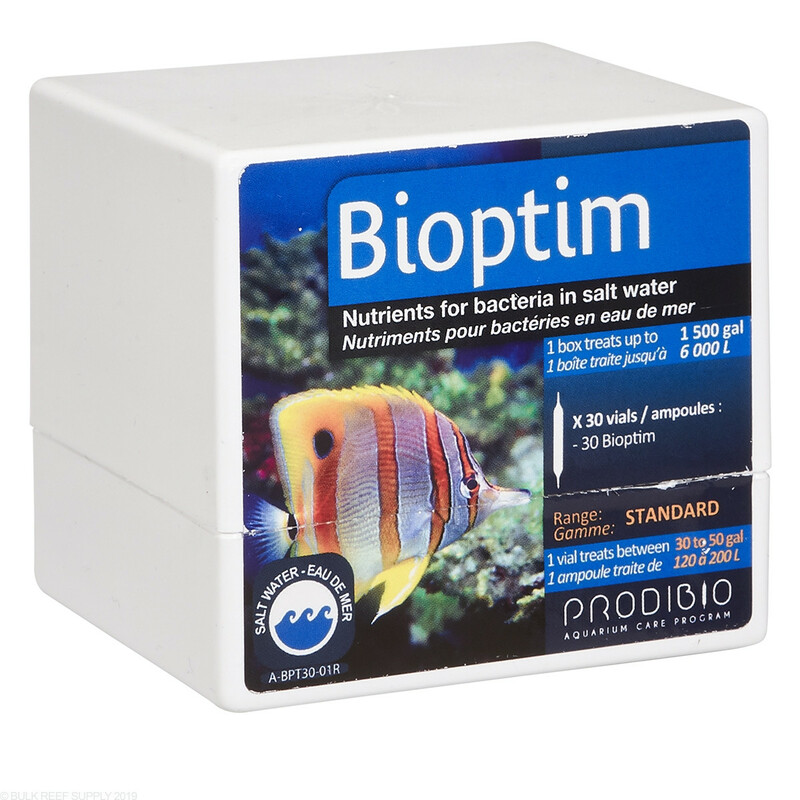 Bioptim contains a mixture of trace elements and micronutrients that Biodigest needs to purify and improve water quality at maximum capacity. 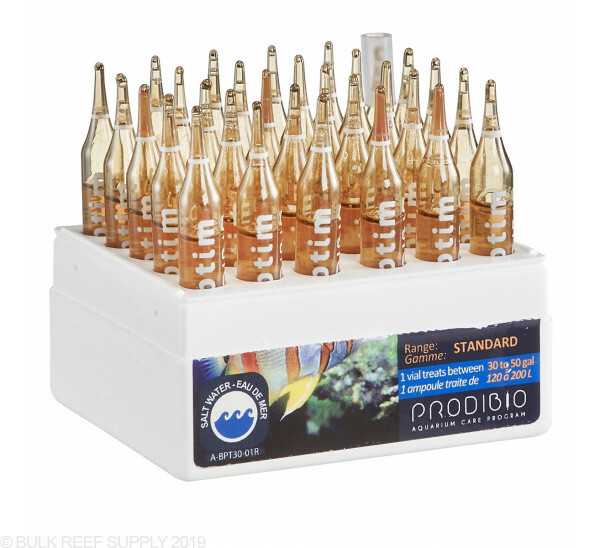 With a balanced blend of amino acids, enzymes, natural vitamins, and trace elements, your biological filtration system will never perform better. 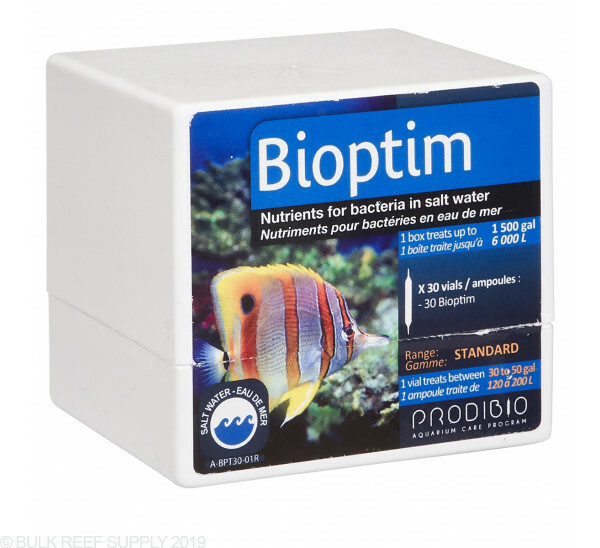 Containing a balanced mixture of sulfur, iron, cobalt, calcium, magnesium, manganese, zinc, molybdenum, and potassium, Bioptim is an all-in-one micronutrient supplement for saltwater reef tanks. It is suggested to dose every 15 days to keep a balance of trace elements and micronutrients available for coral and fish consumption. 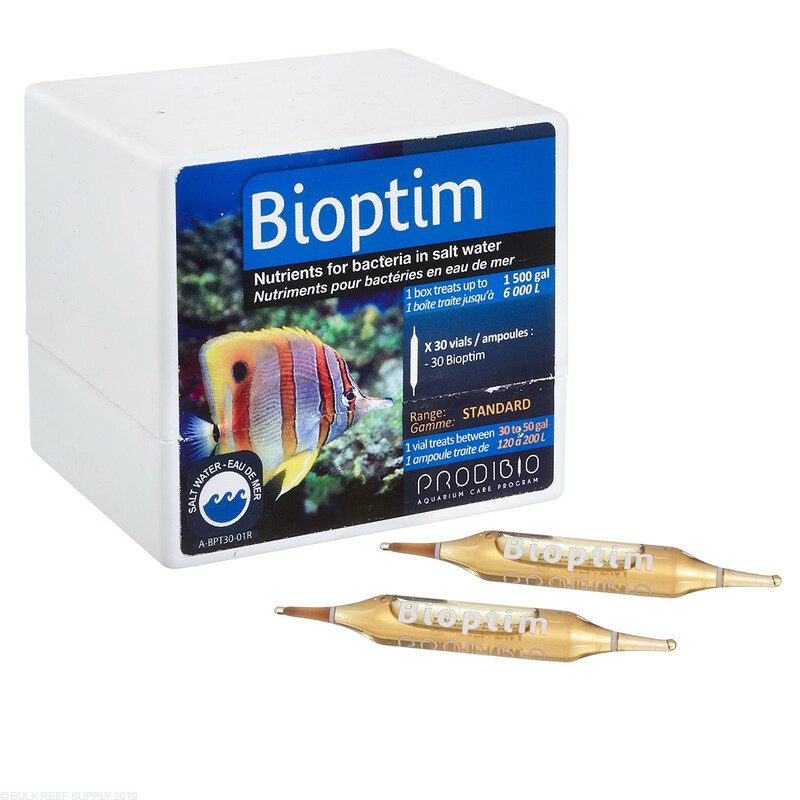 Bioptim can be used on its own but the best results will be seen when used in conjunction with BioDigest. 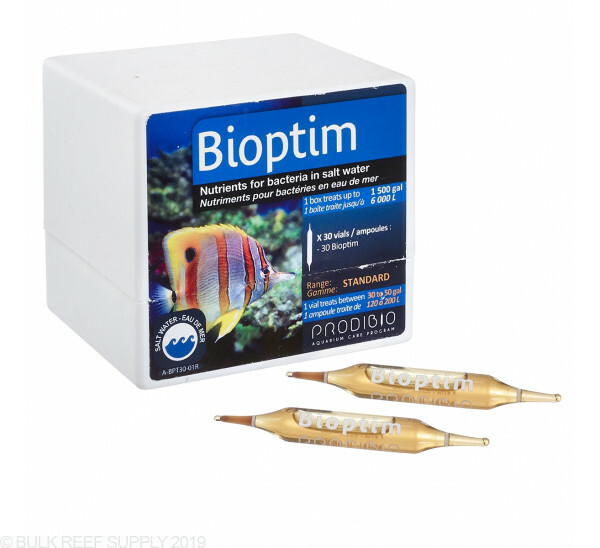 This stuff has worked really well to keep nutrients relatively low combined with a skimmer etc, something we all use. It's very easy to use, and stores well. That said, I have used it with great results over the last 9ish months. And plan to use the remaining 3 months worth of supply I have before I change my carbon dosing routine. My final suggestion to others would be to purchase this rather than the "BioClean". 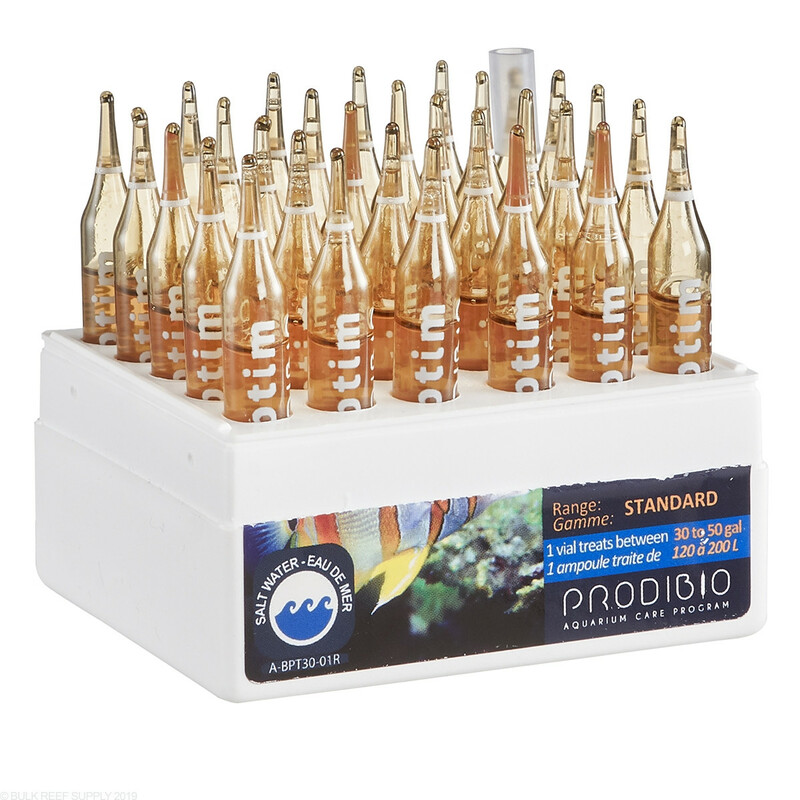 I personally don't think dosing the "marine and freshwater" bacteria really does much to enhance this product. Allowing this to be a cheaper option, giving you the most bang for the buck.